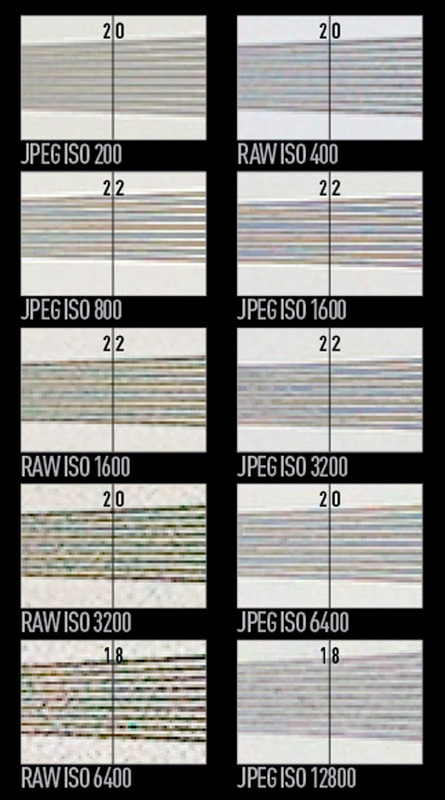 Oddly, the Alpha 450’s images of our resolution chart resolve slightly more detail at ISO 800 than at ISO 200 and 400. With the camera on a tripod and a 10sec self-timer used, there is a slight blur at lower sensitivities. Images look sharper as the sensitivity, and shutter speed, are increased, so it would appear that mirror slap is causing the slight blur. Sadly, the Alpha 450 has no mirror lock-up setting to counter this. After ISO 800 the detail resolution of raw and JPEG images incrementally drops until, at about ISO 3200, it reaches 20 on our chart, which is still impressive. 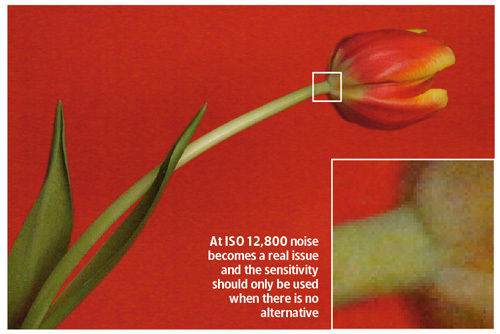 By the time the maximum sensitivity of ISO 12,800 is reached, the Alpha 450 still manages to resolve detail to nearly 18 on our chart, although there is a noticeable softening in JPEG files due to the effects of noise reduction. Overall, noise is well controlled and barely noticeable until about ISO 800. At this point luminance and colour noise are just starting to creep into the image. Luminance noise does not become much of an issue in well-exposed areas until ISO 6400, but both colour and luminance noise are noticeable and a little problematic in shadow areas, particularly if you try to lighten them. These images show 72ppi (100% on a computer screen) sections of images of a resolution chart, captured using matching 105mm macro lenses. We show the section of the resolution chart where the camera starts to fail to reproduce the lines separately. The higher the number visible in these images, the better the camera’s detail resolution is at the specified sensitivity setting.